The classic palm tree look, forever captured for your decorating pleasure. 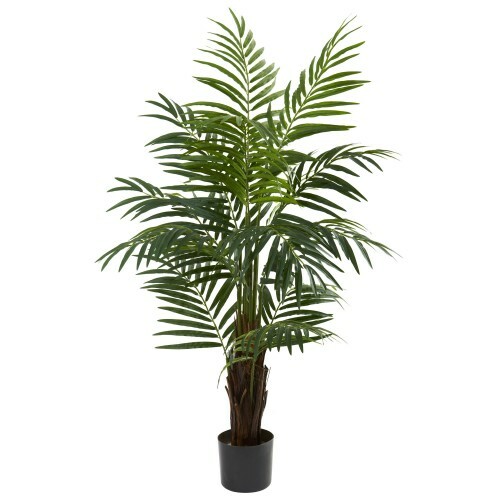 This Areca palm tree is four feet in height, with a robust trunk and hundreds of pointed palm leaves that will bring a little sunshine to any area of your home or office. Never needs water or sun, so it truly becomes a "set it and forget it" piece of décor. H: 6 In. W: 5.75 In. D: 5.75 In. 10.5" x 10.5" x 40"